Vision Entertainment unveils “BerryKesh” whose real name is Mark Williams is an songwriter and Afro Pop artiste from eastern part of Nigeria based in Lagos. 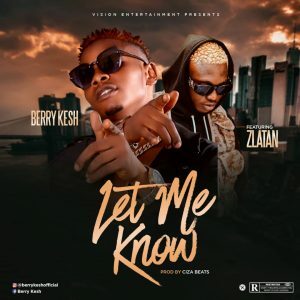 After the succesful release of Ohema, he teams up with Zlatan dishes out this one titled “Let Me know” produced by Cizabeats. This is a Zanku vibe with a different feel.